Captivating views of the Trinity River and Mountains in desirable locale. 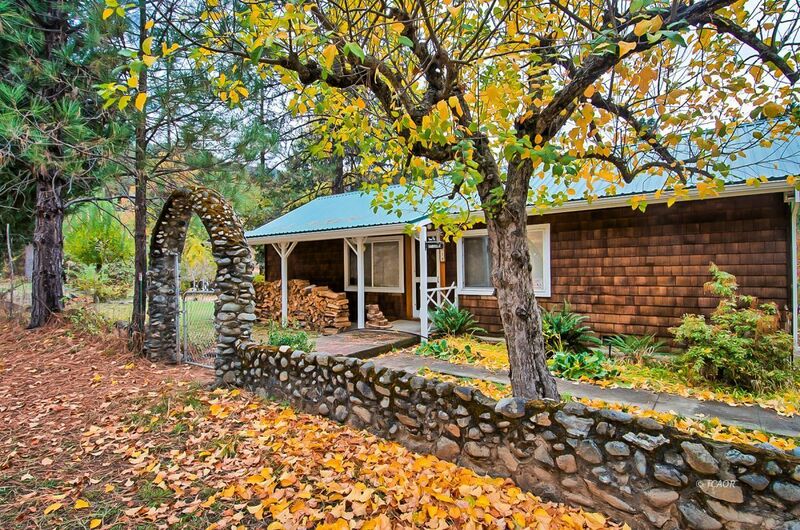 3.5 acres includes home, detached garage, art studio, pergola and pond, fruit trees and R.V. ramada. Old world charm with modern conveniences - open and inviting layout for living, dining and kitchen. Spacious living room comes with kerosene heater that adds cozy ambiance. Kitchen layout affords ample counter and cabinet space. Dining area is light filled with views of grounds, pond and river. Sun room has wall of windows for optimum viewing enjoyment. Serene master suit with its private deck overlooks side and rear grounds. Updated master bath has double sinks and oversized tub. Additional bedrooms off each side of living room have with built ins. Usable grounds with covered areas for sitting and storage, multiple gated drive-in accesses to grounds can work for critters or what have you.